shinobi needed a new t-shirt design and created a contest on 99designs. 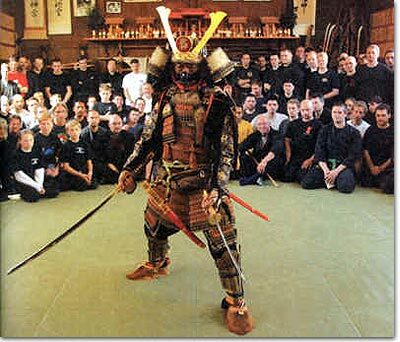 Promoting classical Japanese Martial arts, with focus on Samurai and Ninja traditions. The dojo we train at is Tanuki Dojo, a tanuki is a animal native to Japan. More info:http://www.onmarkproductions.com/html/tanuki.shtml or here http://en.wikipedia.org/wiki/Tanuki I would like to have maybe one Tanuki like character dressed in Samurai Armor battling another Tanuki Ninja character. I would like the theme to be classical, but open to any interpretations. The art we study is Bujinkan Budo Taijutsu, and would like to have the Bujin logo incorporated within the design. Incorporate Bujinkan Budo Taijutsu or Bujinkan Dojo in Japanese Kanji. - Dont want: The Tanuki is known for large testicles, this does not need to be seen.